To understand the money transfer industry better, we caught up with Carlos Mcilwain, group online marketing manager at Small World Financial Services. We discussed the state of the money transfer industry, what trends are affecting its future, and why, for Small World, a new partnership is expected to play a key role in making this offering available to more and more consumers around the world. Ingenico Group: While money transfer isn’t a new phenomenon, it has certainly undergone significant change. Why do you think this is the case (from checks, to bank transfers, to apps)? Carlos Mcilwain: As we move forward, two things have become more important – security and the reduction of friction. New technology is allowing us to do things more easily, reduce manual work and create a faster and frictionless experience. But on the other hand, we have security as a counterpart. Over the years, fraudsters and scammers have become more knowledgeable and can work the system to obtain their goals. Meanwhile, technology has created new ways for consumers and merchants to take on additional security measures, which act as a counterpart to the frictionless experience. Today, we’re seeing mobile apps help to reduce friction as the world moves towards a safer environment. Smartphones now allow for security authorizations that standard computers do not. For example, biometrics, such as fingerprint readers and facial recognition software, are moving the industry forward and allowing consumers to have the best of both worlds – security and a frictionless experience, right from the palm of your hand. Think about it this way – if technology is making bank transfers safer while also adding a layer of security that further simplifies the process, why not leverage it for the benefit of consumers and to improve the overall customer experience? IG: Interesting! Besides this, what other customer or industry trends do you see that might help explain this renewed vigor? CM: We’d be lying if we said that other industries and changes in consumer habits weren’t a large part of the equation.  The world is becoming increasingly global, and with technology, more connected. This is also opening up many new opportunities for consumers. For example, we have students using our services that are studying abroad who are receiving a regular income from their parents to pay for tuition and housing. This money would be transferred as a bank transfer in the destination country. At the same time, we have backpackers traveling through continents like South America who are picking up money as they travel between countries, which helps limit the amount of money they have with them at one time. This is beneficial from both a security and an experience standpoint. The trend we’re seeing in general is that as industries and consumers change, the world must adapt. Because of this, we will keep identifying new types of customers with different needs – and we must make sure that our offering is the best and most versatile it can be. 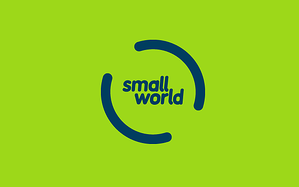 IG: Small World recently announced a partnership with Ingenico to help expand its money transfer offerings and reach customers in new markets. Why did you choose Ingenico, and how has the partnership benefitted Small World thus far? CM: We chose to partner with Ingenico because consumers want seamless and convenient experiences, and with so many ways to pay, the power really lies with those consumers. Just as we’ve seen in traditional commerce, consumers have preferred ways to send and receive money, whether on their smartphones, laptops, via a mobile app or through direct deposit. We also know that these preferences are subject to change based on the amount or type of transaction taking place – so having multiple options was vital for us. Partnering with Ingenico, which has a strong history in both localized and cross-border commerce, gave us the support we needed to provide the most convenient and frictionless experience possible. In addition, any time we can reduce overall processing costs results in a win for our customers. IG: Any last words on the industry, at a glance? CM: For me, it’s simple. If companies can provide useful services that meet the needs of the customer, they will be well-positioned to succeed. The customer experience and the evolving needs of consumers must be central to strategic business operations – without this, companies may struggle to achieve success. As more and more consumers turn to digital devices to transfer money, they expect an experience that simplifies their lives and evolves to meet their changing needs. Whether they are transferring money abroad or to their next-door neighbor, they expect the same level of ease and security to get the job done. With the increase in global payments and technological advancements, opportunities to reach new markets and new customers are also growing. To learn more about how Ingenico ePayments can help you harness the power of payments, visit https://ingenico.us/epayments.